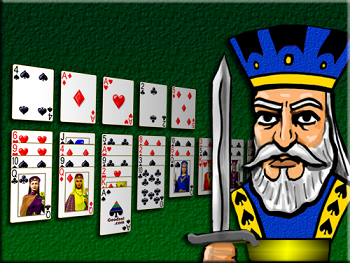 FreeCell .co.nz - Play here the best Free Cell games online! 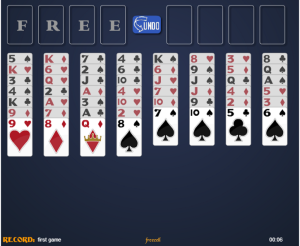 FreeCell .co.nz – Play here the best Freecell Games Online, absolutely Free! Press “Sound Off” if you want to remove the sound effects of the game. Pressing “Help” you will see the basic rules of the game in English. See below tips on how to play Free Cell better and win more. Be careful when you press “Resign”, because it means you are giving up the game. In case you want to start a new game press the F5 key on your keyboard and that will load (show) a new game. To play a new game, press the F5 key on your keyboard and a new game will be loaded. The chronometre “Bonus Time” starts at 10 minutes when you start the game, and it will give you extra points once you’ve won the game. The quicker you win, the more bonus you will receive. 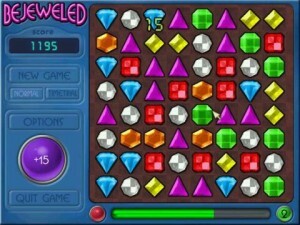 The score on the upper right site of the screen shows how many points you have already scored in the game. Each card you take to the “Home Cells” will give you 5 points. “Home Cells” are usually the four dark coloured cells on the upper right side of the tableau. 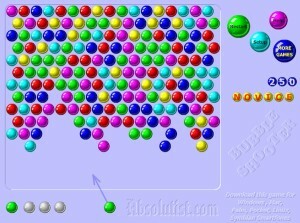 “Free Cells” are tipically the four light coloured cells in the upper left side of the tableau. See bellow the rules of the game and some tips for you to improve your game even more! Have fun! 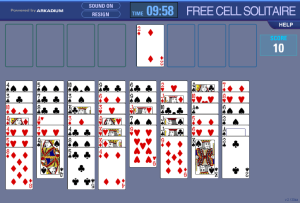 Free Cell is one of the many existent variations of Solitaire, and certainly is one of the most popular ones. 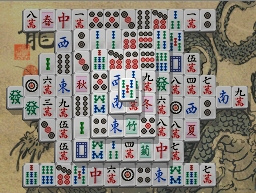 Besides being a fun and challenging game, it has the peculiar feature of not offering many “invincible” games, which means that the aftermath of most of the games is a result of how it was played and not a mathematical probability. Despite the luck factor always being present on the game, what really makes the difference is the ability of the player, and that is for sure one of the reasons why this game is so popular. If you make most of the moves right, your chances of wining are of almost 100%, but if you make mistakes or if you are a bad player you probably won’t win because of you errors, and not because of the orders in which the cards were dealt. So practice makes us improve our game everyday and allows us to finish the game faster and with fewer moves. 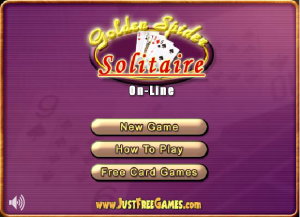 Bellow you will see instructions on how to play this fun and challenging version of Solitaire. Enjoy! The area of the game consists of 4 home cells on the upper right side of the tableau and 4 free cells on the upper left side of your tableau. 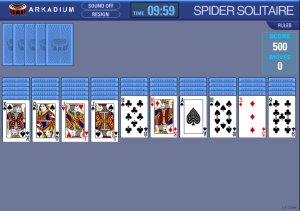 One difference between FreeCell and the other versions of Solitaire is that the cards are laid in 8 columns when the game starts but with all the cards face-up, that is; already revealed. 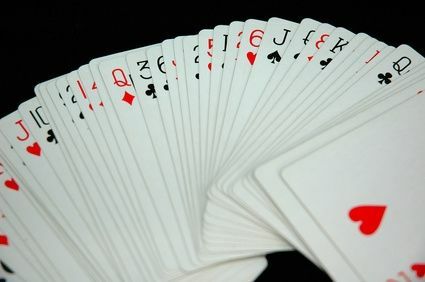 For many people this big amount of cards revealed and in ‘messy’ way gives the impression that the rules of the game are complicated, but in fact they are just as simple as for most Solitaire games out there. 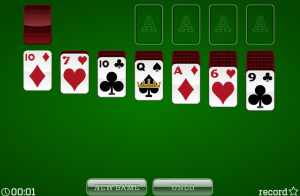 Aces can be moved directly to the home cells on the upper right corner of the screen. The other cards of the same suit can also be moved to the home cells, but only in ascendant order. For example, you can only put the 5 of Hearts on the home cell if the 4 of Hearts is already there. 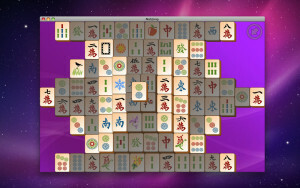 To win the game you must place all of the cards onto the home cells on the upper right corner of your tableau. To do so, the cards must be organised by suit in ascendant order. Free Cells are the 4 cells on the upper left side of the screen where you can put cards, each of these cells hold only one card at a time. 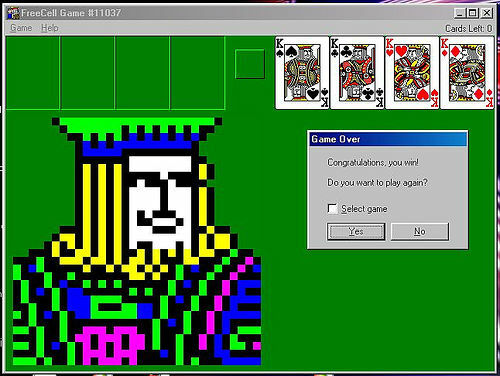 The big secret of this game are the free cells (after all, that is why it’s called FreeCell, isn’t it?! ), because they give and your game great mobility to move your cards around. 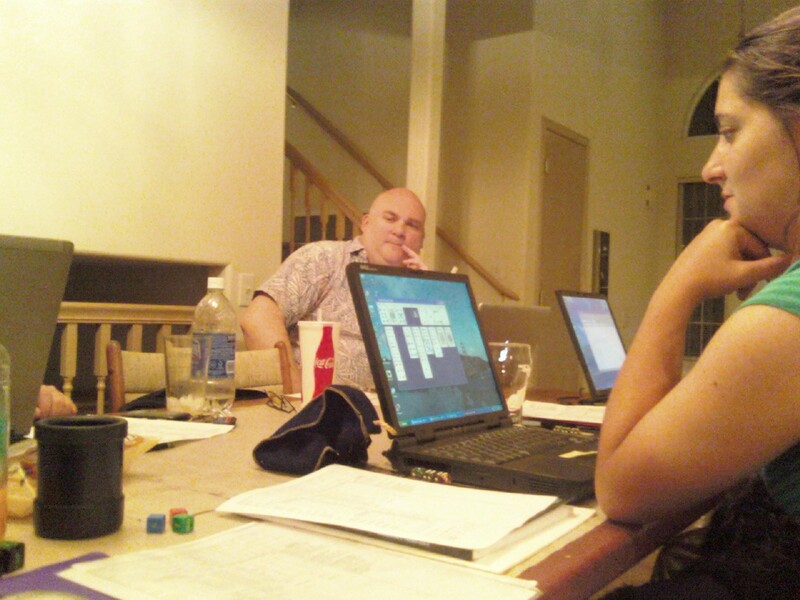 As we will explain later, you have to use them wisely to win the game. 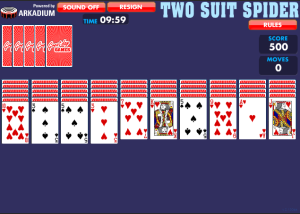 – When moving cards to the columns (the 8 ones on the inferior part of the tableau) the cards must be moved only in descending order, from Kings to Aces, and must alternate suits, you can only move a red suit card (Hearts and Diamonds) onto a black suit card (Spades and Clubs). – When you are moving cards to the Home Cells they must be in ascendant order, from Aces to Kings and they must all be of the same suit. 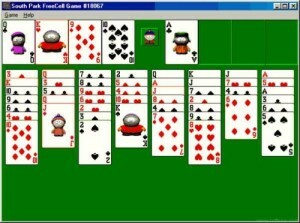 – The cards positioned at the “end” (at the bottom) of the columns (the 8 ones on the inferior part of the tableau) can be moved to any other column (as long as it is in accordance with the rules of number and colour) and to any free cells or to any home cells (again the cards must be in accordance with the rules of numbers and suits colours). – The cards that are on the free cells can be moved both to one of the columns and to any home cells, as long as they are okay with the rules mentioned above. Plan several moves ahead! Just like in chess, each move will affect the whole game, and, thereafter, your final result. Try not to just move one card thinking only on the present move. Analyse the entire tableau and all the possible and future moves and then move the cards to form long sequences. 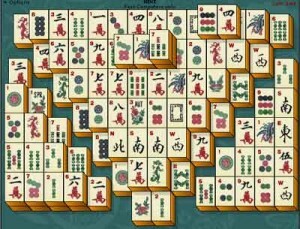 Try to clean the inferior columns, and/or start sending Aces to the home cells, and soon start sending the following cards to the home cells as well. Always try to reveal and clean the cards of smaller value that are close to the ‘beginning’ (top) of the 8 columns of the game. If you see and Ace of a Two under several other cards in a column, make it a priority to clean this column and move the Aces as quickly as possible to a home cell. That way, you will start to clean the other columns sending the other cards to the home cells too. Try to leave the free cells empty. You can only put one card at a time on each one of the 4 free cells on the upper left side of the tableau. Use these free cells to move sequences e columns so that you can reveal more cards on the inferior columns and build more sequences. When you have free cells is a lot easier and faster to move bigger sequences; having 4 free cells means that you have 4 temporary spaces to “park” your cards. Always try to move your cards so that by the end of the move, the free cell you used to make that move will be free again to your next moves. So, be careful and wise with your free cells! Clean entire columns every time you can. Try to move all of the cards out of one column so that you can build another column sequence on that place, preferably starting with a King. If you can’t start this new column with a King, than try to use the highest value card possible. 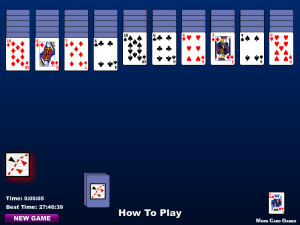 Many players try to start a new sequence with at least a Ten. 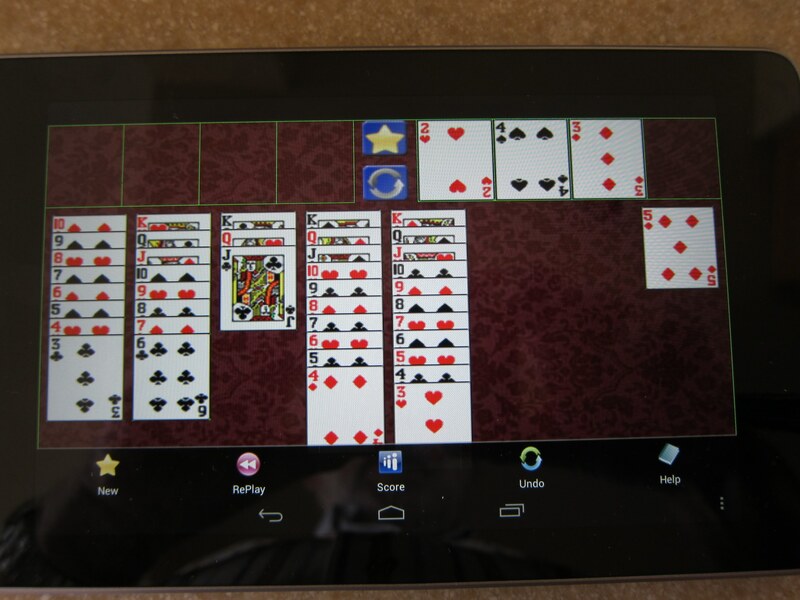 More tips on how to play FreeCell Online! 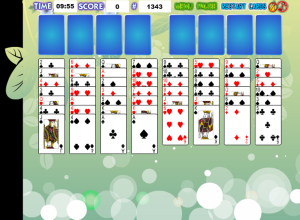 FreeCell is a very simple game, but it is also a very challenging one. The original version that came out on Windows had 32 thousand different rounds and every single one of them has been won with the exception of only one! This one game that no one has been able to win it’s the game number #11982, and the initial tableau presents three of the four Aces at the bottom position of inferior column. 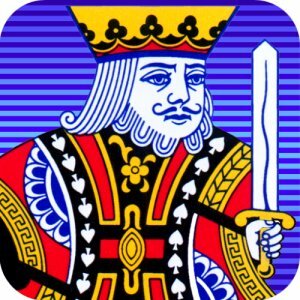 With all these 32 thousand different games and only one being impossible to solve, it’s clear that FreeCell is a Solitaire all about strategy; a game in which the end result will depend almost only on the skills of the player. 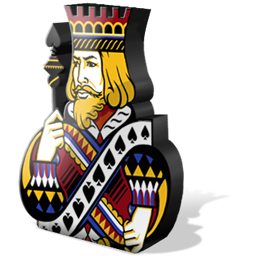 Luck is also an important factor, because some rounds are easier than others, but the final result will really depend on the moves and the strategy played by the player. At the beginning of the game, find all Aces. Among the Aces you find, determine which one is in the easiest position to be taken to one of the home cells on the upper right corner of the tableau and try to move them to the home cells as fast as possible. That is more important than it seems, because each card removed from the inferior columns is one less card being on the way of moving the remaining cards. Identify key cards. Some times you will see many cards of the same suit that could be moved to the home cells, but you can’t because there is one card(number) that is missing on the home cell of that suit to fit those cards. Whenever that happens, you can count how many cards are blocking the card that you need to move to the home cell in order to move later the whole sequence. After verifying how many cards are blocking your way, count how many free cells you have available. If you have enough space on your free cells, analyse the situation carefully to make sure it will be overall a good move and if so, proceed and move the whole sequence to the home cell. Most of the times all this trouble will pay off! And if the number of cards you send to the home cells after these moves is high you can end up sending the whole column to the home cell, making room for your next moves. Try to work all the suits at once on the inferior side of the tableau. This is a good tip, because even you having basically identical cards (for example two red fours) you can still have problems if one of these cards is at the back (upper part) of a column. So, before you move a card to the home cell, make sure you won’t need it anymore on your game. Take risks. For sure there are some rounds on Free Cell you can only win after dealing with some trouble and hard work, like only having one free cell available for your sequences. The good news is that if you plan many moves ahead you can work through these situations easily and you can even find good cards and clean up important cells. Now, if you are never willing to take risks and put cards on your free cells, you probably won’t win most of the challenging rounds you play. 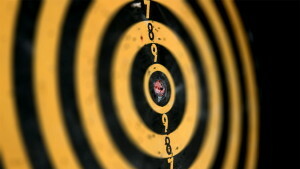 Often, the risks, when calculated and planned, can help you take many cards do the home cells. 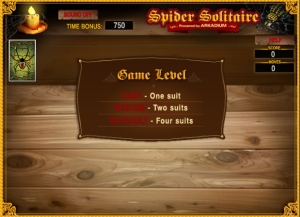 Certainly, the easiest way to win FreeCell is by getting rid of all the cards and sending them all to the home cells as soon as possible, so once you have started your game, start looking for the right cards to send to the home cells on the upper right side of the tableau right away. And if by chance, you make any mistakes, no worries! Practice makes perfect, and in many situations the easiest way to win a specific game is by starting out a new one (you can do that by pressing the F5 key on your keyboard). 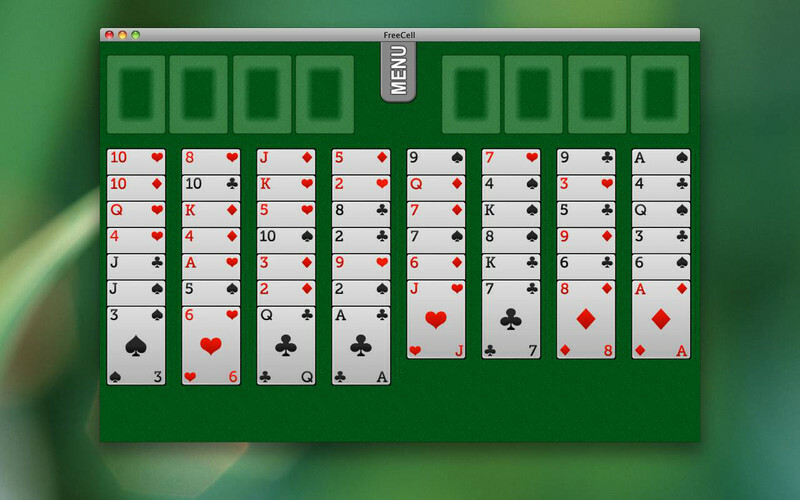 Have fun with this challenging version of FreeCell online! Enjoy!